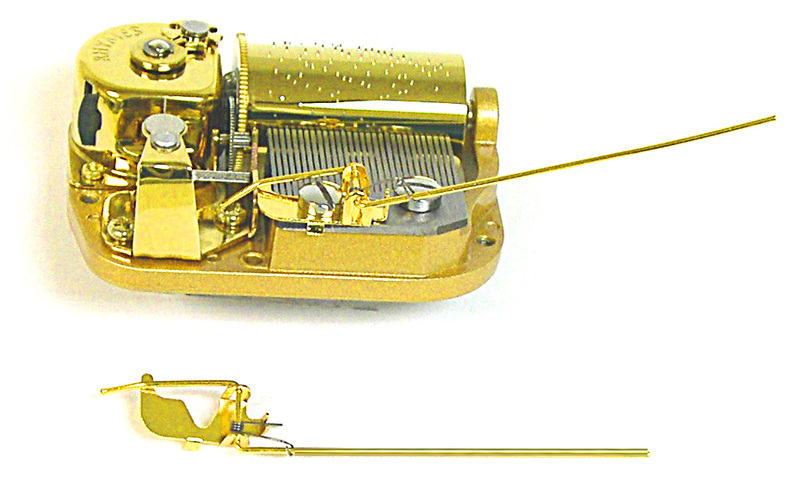 These heirloom quality musical movements have a brilliant gold finish that complements their magnificent sound and sturdy construction. Each tune plays for 5-6 minutes on a single wind. 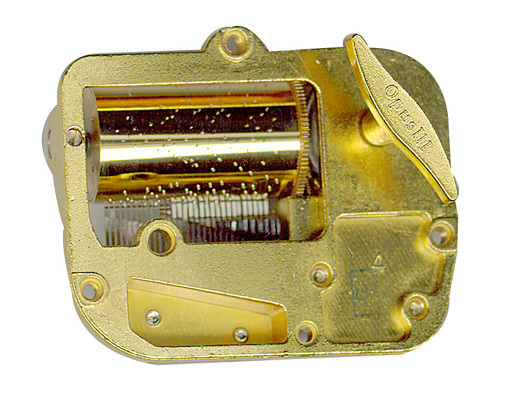 Movements measure 2-3/4" x 2-3/16" x 7/8"H.
Musical Movements Are Furnished Without A Cover For Maximum Clarity of Sound. (May also be used with our other keys. Music Movements wind from bottom. 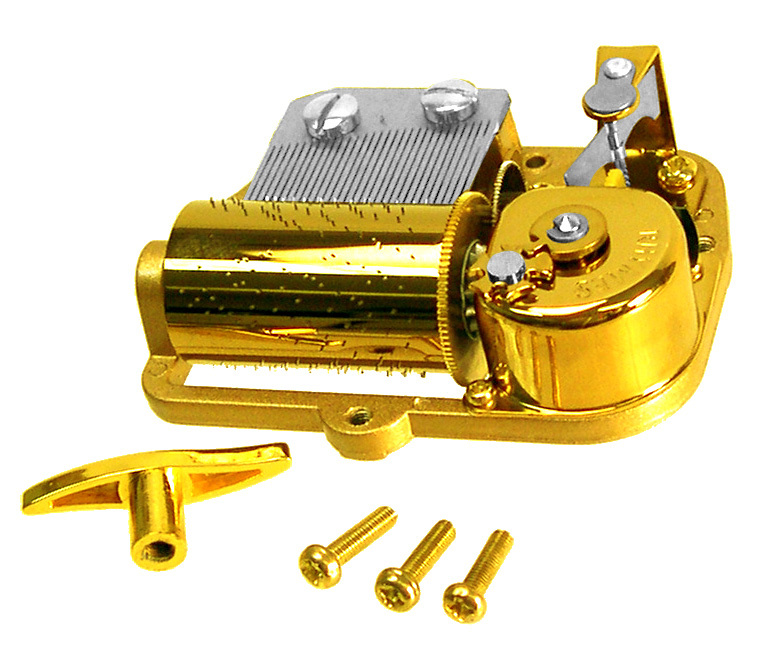 Minimum order for Special Order 30 note movements is 10 pieces of a tune.